Andrew’s story is extraordinary, having grown up in South West England where he only ever saw big waves in surf magazines or films. Andrew’s story is extraordinary, having grown up in South West England where he only ever saw big waves in surf magazines or films. He quickly realised that he was drawn to powerful waves and loved to surf the biggest swells that South West UK could throw at him. Soon after leaving school Andrew started working in the local surf industry so that he could continue to surf as much as he liked. His passion and drive to surf bigger and bigger waves took him around the world surfing in places like Fiji, Australia and Hawaii. He was soon paddling into 20 foot waves at Waimea and felt strangely comfortable in difficult situations in the ocean. After training as a plumber to begin a ‘career’, Andrew continued to surf the massive winter swells whenever he could. He helped to pioneer now famous big wave spots in Ireland like Mullaghmore and spent a lot of time on the West coast teaching himself to ride a Jet Ski in huge waves. Some of his early waves at Mullaghmore helped to push the spot into the global spotlight. In 2010 big wave surfer Garrett McNamara saw what Andrew was doing in Ireland and asked him to be part of the first team in Nazare to surf the biggest waves anyone had ever attempted. In 2011 Andrew towed Garrett into the record books with a wave measuring 78 feet! Andrew’s close relationship with Nazare was sealed from that day on. Plumbing was simply now getting in the way of big wave surfing and Andrew made the decision in 2013 to become a professional surfer. He has partnered with some excellent brands to make this happen and he is now highly skilled at developing and initiating brand projects, generating content and helping to spread the brand message. Considered an important influencer, Andrew loves engaging in projects to tell a story. This has led him to create his own adventures with several very exciting projects in the pipeline. 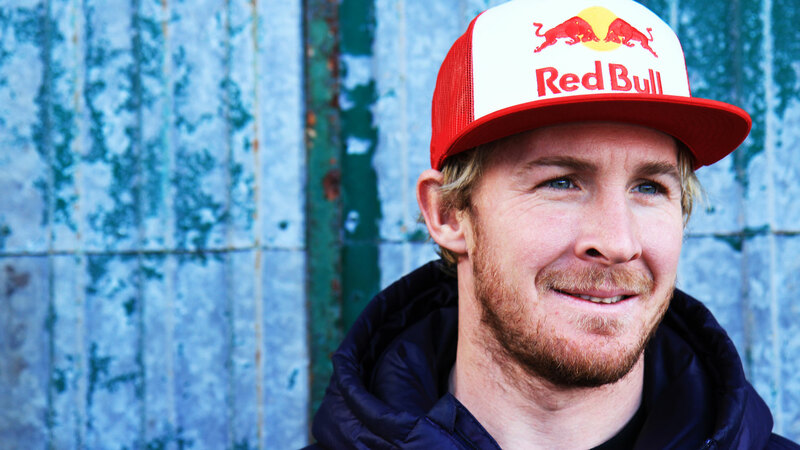 His partnership with Red Bull for example resulted in the amazing film ‘Beneath the Surface’. Obviously Andrew has to stay in peak physical and mental condition to be ready to surf waves in excess of 70 feet. As a top level athlete he trains at a very high level with his personal trainer Andrew Blake. Realising that people were interested in how he kept fit, Andrew has launched a series of Surf Fitness Retreats around the world to share his knowledge and techniques. Surf Fit Life is Andrew’s latest venture and is open to surfers of all levels. You can find out more here. Andrew is driven by the desire to surf the biggest waves in the world. Unlike mountain climbing, where we know that the highest mountains have been conquered, we simply don’t know how big a wave can be generated and then surfed. The bar is rising every year and it’s this unknown which drives Andrew to pursue his goal. Watch this space!